Being groomed as a political candidate or high level appointee in a Democratic Administration, Custer thought with one last victory he would loom large during the 1876 election. After reading this book you will never see him in the same light. This is the only book that can actually take you into the wild last 30 minutes of his life and provide the 7th Calvary view point as his men fell. This book includes Chief Sitting Bull's thoughts. Also included is a close-up of Custer just before he was struck down. And, there is the world's only image of Chief Crazy Horse - important because he refused to be photographed. People who have seen the other books in the series know how detailed these portraits are. ​Reader Feedback: [The] "Custer picture is fine, one can easily imagine the real man. Crazy Horse portrait is striking, and when combined with the biographical information you provide, I can believe this is the guy, a wonderful portrait. As the battle unfolds, the book includes original RV battlefield art work. It provides an overview of Major Reno's abortive attack and the Federal reaction to history's first accurate Native American numbers. Then the story moves to Last Stand Hill with unknown battle information. 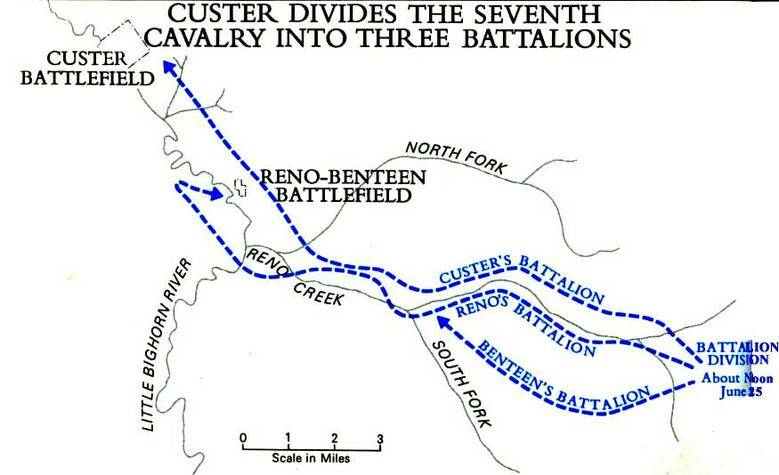 Included are exact details about Custer's disputed whereabouts inside the perimeter. 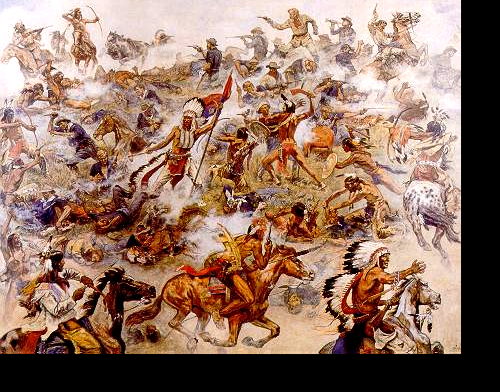 Was Custer really the last soldier standing? Find out. With two Frederick Remington color pictures, this is the only book that provides perspectives from both sides. In addition, this book reveals at what point Custer's controversial mortal wound took him down and provides specific details as to how the Indians handled his body. ​Reader Feedback: "Another fact or claim that makes your book of great interest to history buffs, and actually one that probably could be checked out with forensics." Melee - At the end, it was the wild ​maniac​​ panic of a a no way out violent death. 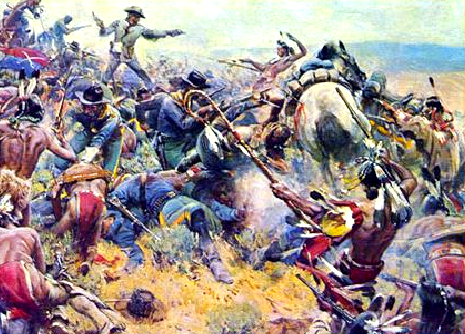 Included are new details of Custer's commanding officer Brig. General Alfred Terry. What McMoneagle discovered, coupled with a detailed analysis of his diary, will change some of the history. ​​Reader Feedback:"...the information about the strange way Terry’s diary was transcribed struck me as obvious attempt at censoring the real data. There is an “agenda” at work here, and it is very plain. This is a dramatic fact..."